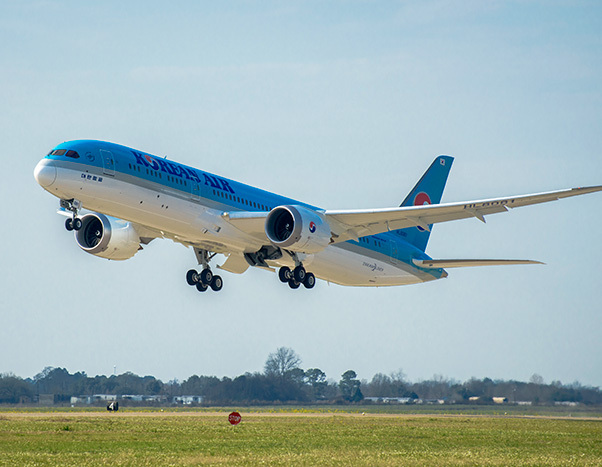 Boeing and Korean Air Feb. 22 celebrated the delivery of the airline’s first 787-9 Dreamliner. The Seoul-based carrier will be the first Korean carrier to operate the 787-9 Dreamliner in the country. The airline is scheduled to launch domestic flights to Jeju from Seoul (Gimpo) for a month as part of the required certification period, before launching long-haul international routes to Toronto, Madrid, and Zurich later this year.